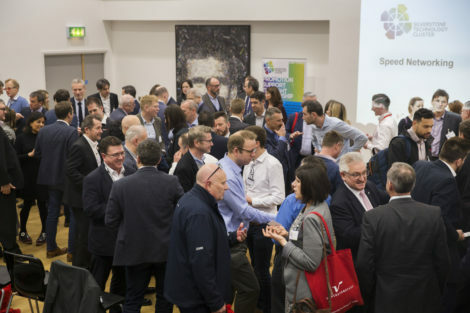 The Silverstone Technology Cluster has confirmed its 2019 Annual Conference (Tuesday 21 May) will take place at Hexagon Manufacturing Intelligence in Milton Keynes. A taster of what visitors can expect – presentations, Q&A sessions and networking opportunities – has already been confirmed on the STC website. He added: “We were delighted by our first Conference in 2018 (held at Silverstone UTC) and the opportunities that it presented for our audience – a number of whom have since become involved in projects that were highlighted by our speakers, including some at Heathrow. HMI’s Milton Keynes premises are in fact home to its only factory-accredited service and calibration centre in the UK. It is also a training base for staff and customers. The company’s UK Sales Manager John Drover said: “Hexagon is the number one name in precision measuring instrumentation in the world of high-tech engineering and manufacturing and the STC is the most dynamic place in Great Britain for high tech activity – where better therefore to host its 2019 annual conference? “The STC Annual Conference has immediately become a high-profile and influential fixture on the high-tech engineering calendar so hosting this event is an added bonus for us.